We are comprised of competent stone masons, carpenters, welders, and landscapers. We love creating custom, durable, attractive, and functional garden infrastructure. Customers appreciate our holistic and sustainable approach and our eye for detail. Patios, water features, walkways, stoops, walls, interior masonry, boulders, garden art, pizza ovens. Arbors, pergolas, art, stairs, decks, fencing, interior work. 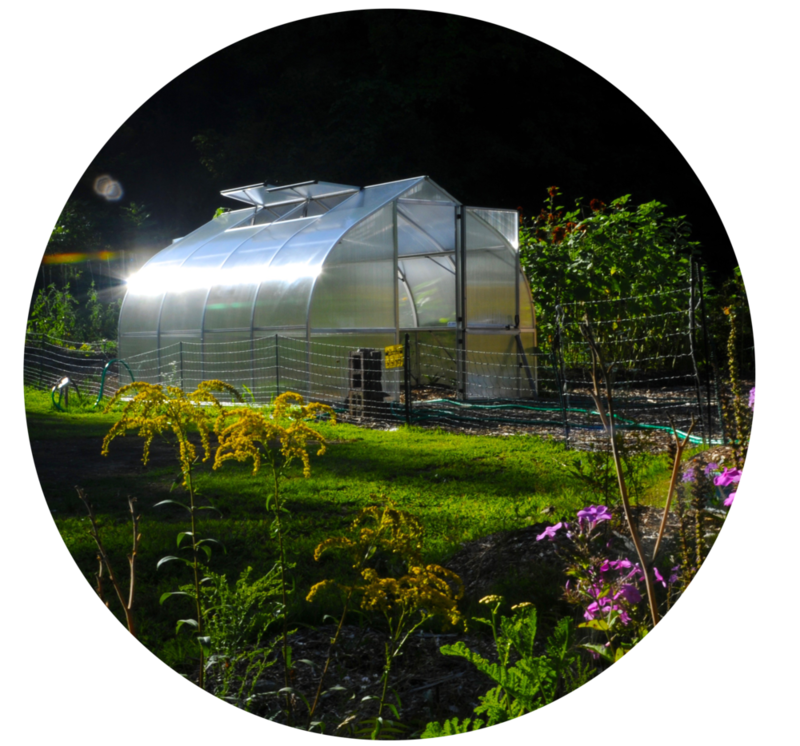 Grow year round in your own custom greenhouse! Durable garden infrastructure. GROW REAL FOOD! Harvest your own fresh eggs year round!